Enjoy looking at our creative learning log. We have had a wonderful time getting stuck into our creative projects as part of the Composition focus! 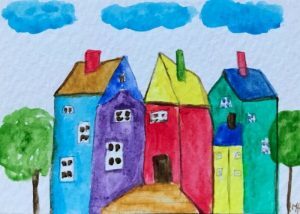 We have been debating environmentally friendly ways of constructing new houses – and what sorts of materials and amenities these may require, using our mathematical skills to draw 3D shapes from observation and have even developed our skills in the use of watercolours (like the one pictured here). We have spent a lot of time reading and analysing Charlotte’s Web this week, and have also taken part in an interesting debate about whether or not Wilbur (the pig) should be saved from slaughter or not. 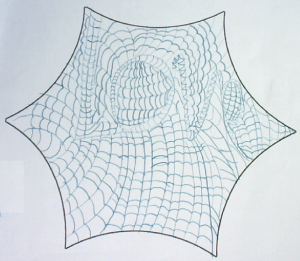 As we continue with the composition focus, we have also used our knowledge of shape to begin drawing using geometric skills. As a consequence, we’ve all got better at drawing shapes such as prisms, pyramids and cuboids – a skill we’ll soon apply to our projects for the Open Evening! We have begun learning about the rainforest this week. This has led us to think about the locations of rainforests around the world, the composition of a rainforest and the sorts of animals which we might find living there. 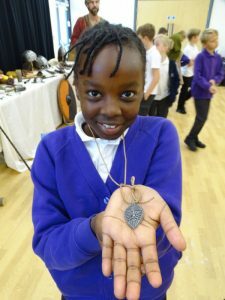 This has also enabled us to make links with our study of The Explorer (from before half term) and with The Lost City of Chipputut, which we have been working with in our Reading Masters sessions. We have begun a new whole-class reader in our English lessons, Charlotte’s Web, and have already had some excellent discussions about the characters and themes present within the text. We have learned about the life and work of Mary Anning this week. We found out that she was a famous fossil collector who lived more than 150 ago, and was important in discovering many extinct species of marine animal. In our maths lessons, we have been successful in adding and subtracting fractions – and have even begun converting these to decimals and percentages too. We are still working hard on our times tables, and are making links between tables more readily to help us calculate even faster. We’re proud of what we have achieved so far this year, but are looking forward to a well-earned rest over half term! 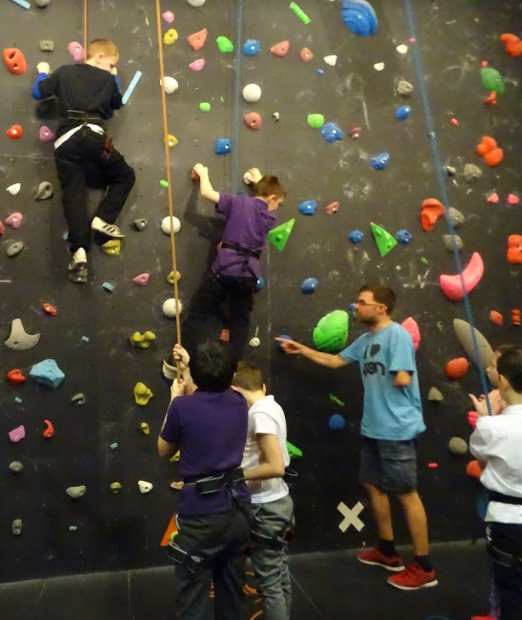 Danger-Us club visited Norfolk’s highest climbing wall at the OPEN on Wednesday 13th February. We had the wall to ourselves for an hour and the coaching of an amazing instructor. We can’t wait to go back! We have begun learning about volcanoes in Geography this week. We were amazed to discover the frequency of volcanic eruptions around the world and worked hard to compile lots of interesting information about them. This has helped us to inform and improve our writing (explanation texts) in English lessons too. The teaching of Mandarin has continued in Les Ecureuils (Les Blaireux had their turn before Christmas and Les Loutres have this to look forward to after Easter!). 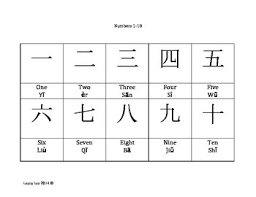 We have consolidated our knowledge of the first 10 numbers and are increasingly accurate when recalling these. Why not test out what we know? Thanks too to all those who have attended our cafes over the past two weeks. 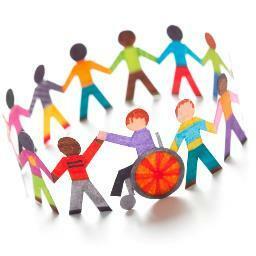 It has been lovely to see so many smiling faces and is a great show of support for the children. We have deepened our understanding of the links between times tables and fractions this week, and have spent lots of time building on our knowledge of factors and multiples. This will also help us with the next stage of our learning – percentages. We have completed our persuasive letters in our English lessons, and enjoyed using Editing Stations to improve the quality of the work which we produced. Through topic lessons we have been learning about the key beliefs of Hinduism and the most important deities in the religion. We have discussed origin stories and how this belief system compares with Western religions. We have also been treated to several very interesting workshops today as part of our Safety Awareness curriculum day. We are thankful to Norfolk Fire and Rescue service for their informative talk about fire safety at home, and to Luke from ECP for his engaging chat about the steps we can take to keep ourselves safe online. We have all sat three separate maths tests this week – and our teachers are really proud of how well we have performed! We think that is definitely due to how much attention we have been paying to our times tables through our daily mental maths sessions, and how we have been taught to develop our reasoning skills. In English lessons, we have begun writing persuasive arguments to The Explorer (from the book of the same name) to try and convince him to help ‘us’ – writing as one of the four main characters – to get home. We have had to think about the ways in which we use flattery and guilt to get our arguments across. As part of our whole-school topic (You can make a difference too), we have spent a lot of time thinking about the famous mathematician and scientist Sir Isaac Newton this week. 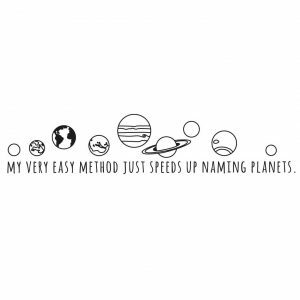 We have enjoyed thinking about the ways in which his many discoveries shaped the world, and have begun to experiment with some of the Laws of Motion. In our maths lessons, we have been keeping our Times Tables focus alive by practising with different facts every day. It has been encouraging that so many children have been talking about their puzzle sheets (which are also on our school website), and are making such good use of MangaHigh. Our English lessons have allowed us to devise our own pieces of descriptive writing, based on the experiences of somebody who might be lost in the Amazon rainforest. We have integrated some higher-level grammatical skills, such as relative clauses, into our writing to great effect, and are looking forward to creating suspense-filled endings to our stories tomorrow! This week we have all been getting to grips with our new school focus: times tables. Whilst most of us already have good knowledge of the tables, we can always increase the speed that we can recall and work with these. We have enjoyed our daily mental maths sessions, which have all had a times tables focus, and are looking forward to showing off what we know by having a go at some of the challenges on the Year 5&6 Times Table Puzzle Sheetwhich we have brought home. 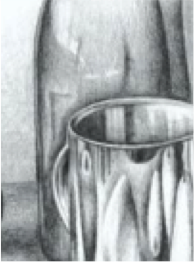 We have also spent time learning about – and drawing in the style of – ‘Still Life’s this week. We utilised all of our skills in drawing, but were surprised by how often we had to take a break from what we were sketching to look back at the objects on our class’ model! We have just begun our new topic: You can make a difference too.Through this topic, we will be exploring the achievements of famous British figures such as Isaac Newtonand Jane Goodall. We will also be looking in detail at the forces that shape the world around us, Including a study of volcanoes and earthquakes. Words for the Year 5 Seven Times Tables Blues, so you can sing along and learn your seven times tables. One times seven isn’t hard to do. Seven is the answer, I’m sure you knew. An easier question, it’s fourteen. One more than twenty, it’s twenty one. I’m looking at the answer, it’s twenty eight. Seven times seven is forty nine. Eight times seven, I’m not in a fix. No need to worry ‘cos it’s fifty six. Nine times seven, easy for me. The answer’s plain, it’s sixty three. I don’t need a pen, it’s seventy. Twelve times seven, it’s just a few more. No need to delve, I know it’s eighty four. I’m learning my tables, that’s for sure! We are starting to get into the festive spirit this week – and some of our learning has reflected this too! We have solved mathematical problems involving Christmas decorations, and have even used our knowledge of addition and subtraction to plan Christmas parties from a given budget. The reasoning that we produced about which of the parties we would rather go to was a testament to how much we have learned this term! We almost finished reading Goodnight Mister Tom, and have been shocked by some of the events which have happened to the characters we have grown to know so well. We have written at length in the style of Mister Tom, and have enjoyed the challenge of using apostrophes liberally to omit parts of common words – as if they were being spoken. We are looking forward to comparing our understanding of the book with the theatrical version next week too! In our science lessons, we have successfully concluded our investigations requiring the separation of materials. Our teachers were really impressed by some of the observations and reflections that we were able to make. We are glad that all of our tests are now out of the way, but are proud of how we have performed in them; particularly our Reading test! We enjoyed our ‘Share it out’ Café on Wednesday 5th December, and were able to get our teeth into real-world problems using the book ‘IF…’; thanks to all parents who came and supported this. We have continued to explore the themes and emotions in Goodnight Mister Tom, and have all taken part in some mature conversation about each character’s thoughts and feelings. In today’s writing, we have attempted to put ourselves in Willie’s position on the long train ride back to London. As ever, the quality of our responses to this task was excellent. Well done to Les Blaireux class too, who have achieved the dizzying heights of 84% of children reading with an adult at home EVERY DAY this week; can either of the other classes beat this next week? We have been working hard to bring our Viking longships to life this week. We are a few finishing touched away from our own Norse fleet, though we do still need to add on our sails! We have tackled a lot of problem solving in our maths lessons, and have been able to reason about the conclusions we’ve come to with increasing detail. Our reading sessions have been tailored to our class’ reading books this week, though we have also spent a little time thinking about key features of non-fiction texts too. It is encouraging that reading scores are also on the rise, with one class at 60% of children who are reading every single night! Although some of us have our doubts about how well we will do in our tests next week, we should just try to tell ourselves that we CAN do it – and that a test can only show what we know about one or two things, not who we are as people! We have delved deeper into Goodnight Mister Tom this week and are really enjoying making comparisons between school experiences during the Second World War and today. We are working really hard to make sure that we are reading every night, and it is great to hear about so many of us who are enjoying sharing books with our families – and finding out about their favourite reads too! We have greatly enjoyed getting messy when using papier mache to cover the wire frames of our Viking long ships, which are really taking shape. We have continued solving problems involving written division in maths, and have even begun to order operations – which just goes to show how confident we’re becoming! 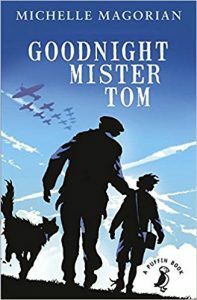 We have begun reading a new book in our English lessons this week – Goodnight Mister Tom. We are really enjoying finding out all about life as an evacuee during the early days of the Second World War, and can’t believe how differently children were treated back then! The amount of reading that we have been doing at home is increasing too, with some classes nearing 75% reading every single night – great work! In maths lessons this week, we have been putting out division skills to the test. A real WOW moment was hearing children who thought that they could ‘never do’ division with fraction or decimal remainders telling each other that they ‘get it now’. It’s amazing what happens when we all work hard. We are greatly enjoying our whole-school reading focus and the opportunity to explore a greater variety of books. Many of us have been reading at home every single day – well done if you have! We have also spent a lot of time thinking about Armistice Day this week in preparation to mark 100 years since the end of the First World War this Sunday. 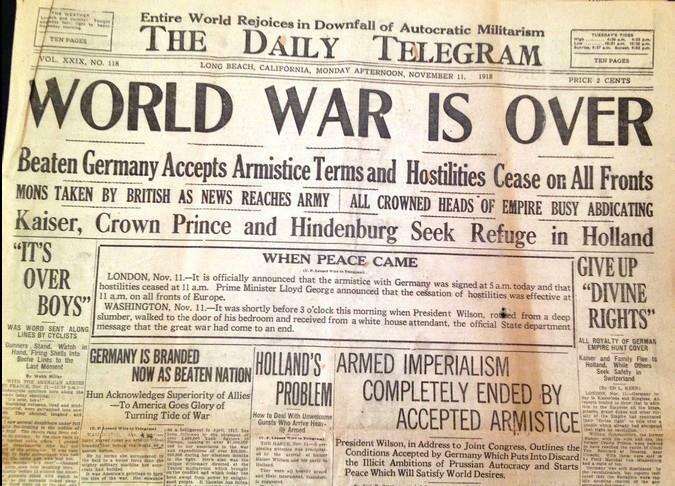 We have created newspaper reports which celebrated the end of the war and have discussed some of the war’s causes too. We would like to say a big thank you to all who helped to make our First World War themed Breakfast Café so successful this morning – it was lovely to see so many parents and children joining in the activities. We will definitely host more sessions at a similar time in future. 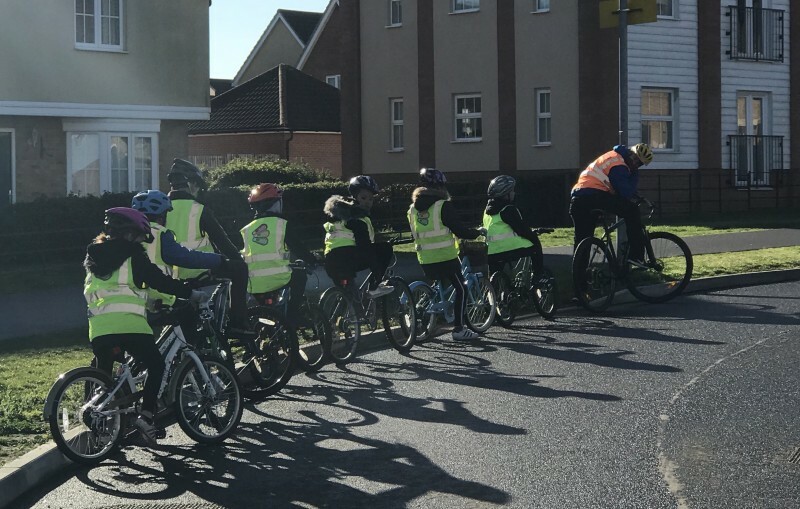 This week we have been getting stuck into Bikeability, swimming and our new whole-school focus; reading. We enjoyed putting our minds to the test in our maths café on Tuesday, and many of us were able to work algebraically to solve problems. We have also been discussing the types of books we like to read – and what our families enjoy reading too. We are being challenged to read at every opportunity both in school and at home, and will be taking part in class competitions to see who can read the most! We have continued to engage with reasoning in maths this week, and we are now feeling much more confident to when explaining how we know something to be true. We have spent a lot of time crafting poems which tell the story of Viking burials – and showing off the vocabulary we’ve learned in the process. 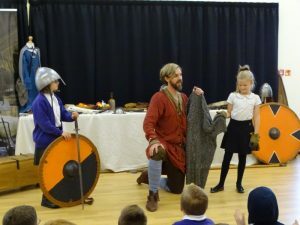 We were particularly looking forwards to our Vikings workshop, which has been taking place today, and have loved getting involved with some of the activities Bjorn (our Viking guide) has shown us. 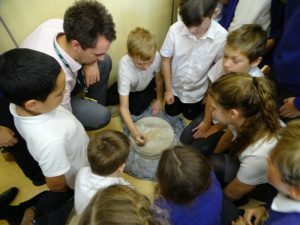 In the pictures below, you can see the fun we had grinding corn with a quern stone, handling Viking artefacts and looking at Viking weaponry! We have been reasoning with factors and multiples this week, using our knowledge to identify prime numbers below 100. Through investigation, we have been able to explain how we know that a number is prime and why this is important. We have carried out a lot of work with models and images (counters, cubes, arrays etc.) to help us prove our ideas. In particular, we noticed that numbers which are prime can only ever have two different arrays, whereas composite numbers (which have more than two factors) can have many. One Year 5 pupil commented: “It’s so obvious. 11 must be a prime number because it only appears in the 1 and 11 times tables. AI also know that all of the numbers in the 11 times table are multiples [of 11], not factors”. We have had lots to celebrate this week, with some excellent scores in spellings tests, high participation rates on Manga High and success for our Year 5/6 Tag Rugby team. We also learned to spot the symptoms of a heart attack in HEARTSTART this week, and know what to do if we think that somebody is suffering from one. We have been focusing on proving what we know in maths lessons, and we’re becoming proficient at speaking in full, justified sentences when giving answers. In our science lessons, we have discussed why the Earth has seasons and how axial tilt affects our lives. We have enjoyed the process of animating our Viking sagas too, and we look forward to watching these back next week – this will help us to write explanation texts. Jane says “The sum of 32,892 and 59,247 will be greater than 80,000”. Will she be right or wrong? Justify your thinking. “I know that Jane will be right because if you add the 3 and 5 in the ten thousands column, that makes 8. This means that the value of the number will be at least 80,000. When you add the digits in the thousands columns the value of the number will increase to more than 90,000. This is because the 2 and 9 in the thousands column will make 11, and we need to rename the ten”. We began the week with HEARTSTART, where we learned first aid tips for looking after ourselves and others. These included what to do if someone is bleeding and how to help a person who is choking. We have continued to develop reasoning skills in maths lessons, and the children are enjoying the challenge of justifying how they know something is/isn’t correct. We have also applied our reasoning skills in English lessons, convincing each other why some words choices are more/less powerful than others. We have begun learning about the Earth and Space in science lessons. We discussed the characteristics of our closest neighbours and why Pluto is no longer counted as a planet. Most of us have even managed to put the planets in order; remember: My Very Easy Method Just Speeds Up Naming (Planets). We have spent a lot of time learning about Roman numerals this week, and have practised using them to solve problems. We were amazed to learn that the Romans had no letter to represent zero! In English lessons we have been exploring the effect that interesting adjectives can have on a story. We have all planned out our own Viking sagas and are proud of the effort that we have made in choosing language for these which has the greatest impact. 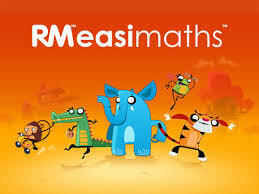 This week we have begun developing the children’s reasoning skills, both in maths and across the curriculum. We have spent lots of time thinking about how we have arrived at answers and why we know that these are (or are not!) correct. We have introduced a new scaled ‘reasoning ladder’, with steps of: describing, explaining, convincing, justifying, and proving. At the moment, many of us are working on ‘explaining’ what we know, but we will work hard over the coming weeks to make what we say detailed and persuasive.